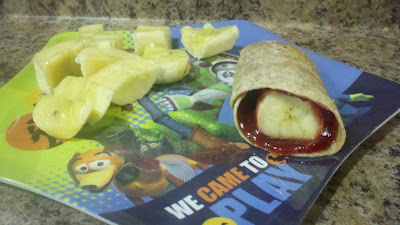 One afternoon for snack, we made the 'easy lunch' item - PB&J roll-ups. I cut up the remaining banana as a side dish… you know, just in case. I hope you try this snack one day! Buon Appetito!